Find mochi-related events in Kyoto! Part1 and Part2 have spotted “eat mochi”. Have you found fascination knowing many different dishes like zoni, zenzai, and abekawa-mochi? Then, it’s time to learn festivities Japanese have around New Year. An event known well is “mochi tsuki” which translates as mochi pounding, using a mortar and a mallet. It might be hard to see outside of Japan. Put steamed mochi rice into the mortar, and pound it with the mallet. It is said that Japanese people used to have mochi-making every time they had something to celebrate because mochi was sacred food to dedicate to gods. 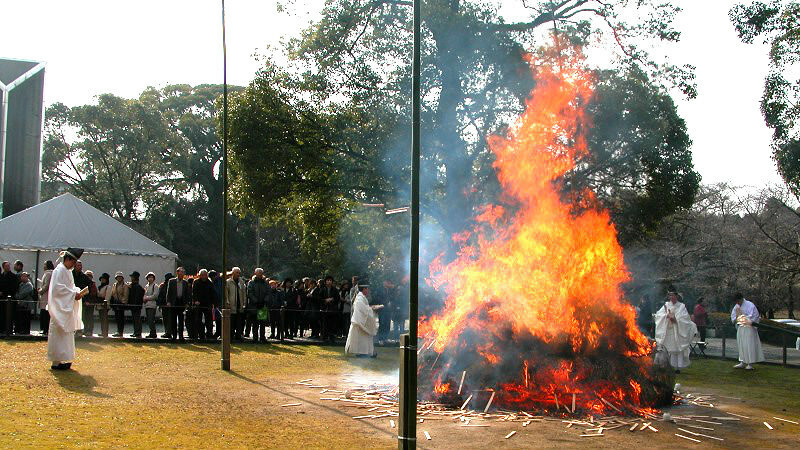 Now it became a traditional festivity that takes place as a community event. At shrines and temples in Kyoto, mochi-related ritual is held around New Year. 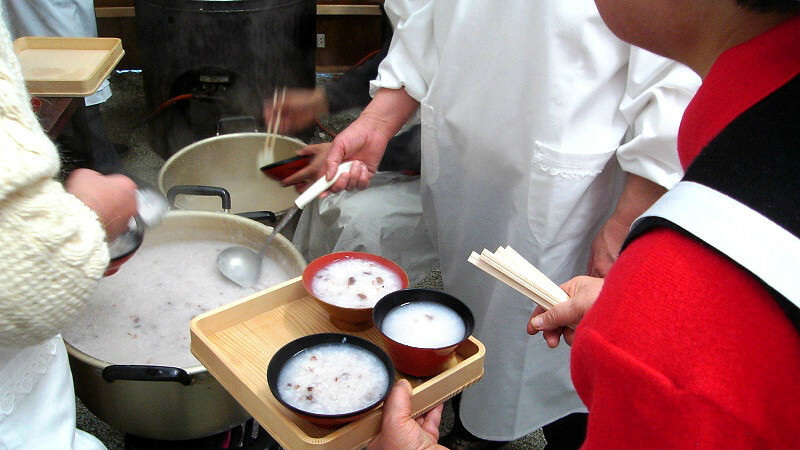 Some rites have mochi-making, and some serve baked mochi or rice porridge with mochi. Mochi has a deep connection to temple and shrine because of offering. Especially Kyoto has a lot of temples and shrines, which means the number of mochi-events also increases. 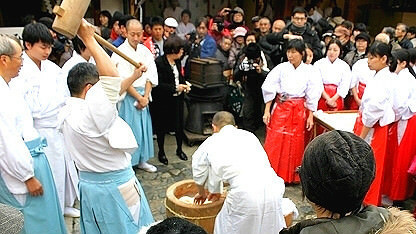 Let us tell you some events connected to mochi such as common mochi-pounding and ritual held in Kyoto. Please make a visit if something fascinates you. Mochi-pounding is fun to look at. 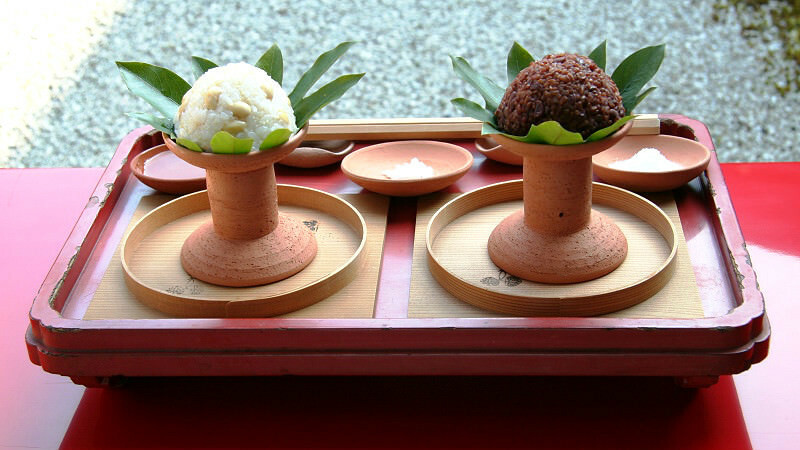 Take a chance to have sacred rice cake served at temple. It will be an unforgettable memory! This famous shop is in Nishiki market. 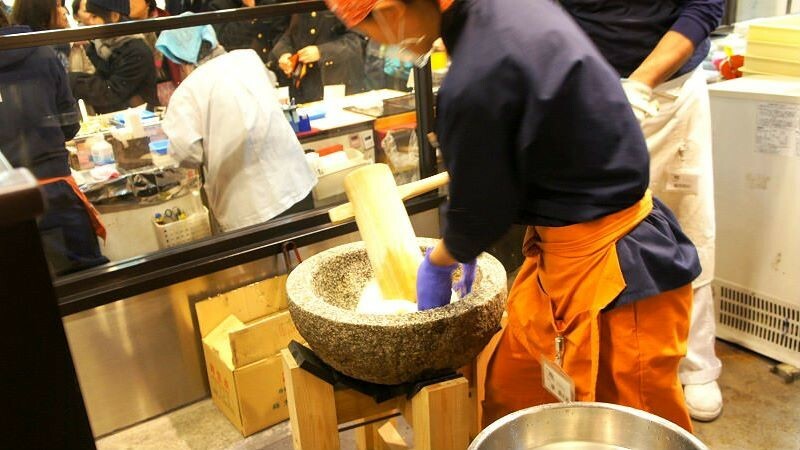 Not only you can have mochi, but also see actual pounding which is held irregularly. Tell them that you would like to try when it starts, they will help you. Take a glance to check whether pounding is held when visiting the market. A festival that prays for good business is held at ebisu shrine from January 8 to 12 annually. It is called “toka ebisu taisai”, 10-days-ebisu-big-festival. During the period, various festivities take place, and on the first day, January 8, “mochi-ponding ritual” is carried out by Shinto priests. Although those rice cake is going to be dedicated to gods, you can get them on a first-come-first-served basis on 11. 50-minute away from Kyoto station, Iwashimizu hachimangu shrine is located in Yawata city. The shrine is famous for its dispelling evil. The biggest apotropaic ritual is carried out every January. Special mochi purified with flame is provided to visitors. The flame has used to burn old talisman and lucky charms by the event of “shono shinji”, so it is said the mochi gives you good luck and expels evil. January 15 is called “small New Year” in Japan. Having red bean porridge is thought to be common custom. Therefore, many rituals are held at temple and shrine to celebrate small New Year. 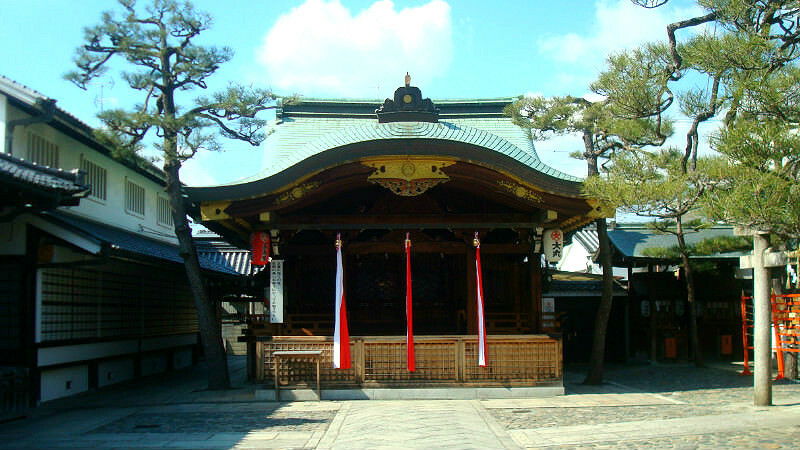 Shimogamo shrine, a world heritage site has porridge festivity called Okayusai. When you visit here on the 15th, hot red bean porridge with mochi will be served. How about coming to feel Japanese culture?